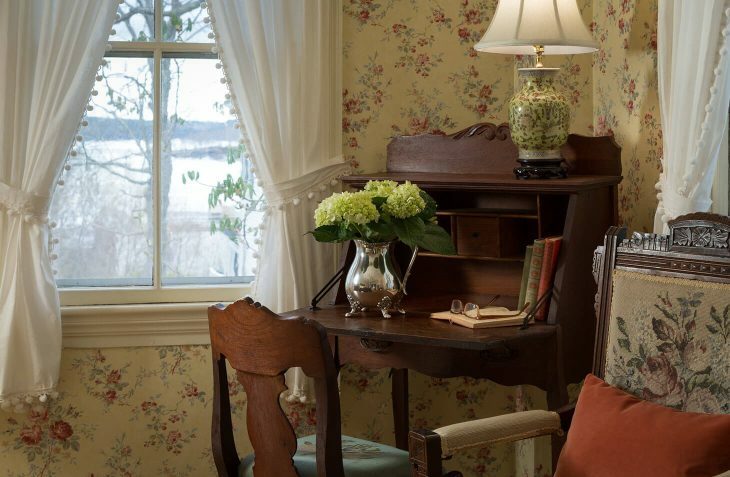 Room 4C at our Maine Coast B&B is an inviting corner room, gently shaded by a historic chestnut tree with glimpses of Penobscot Bay and its islands. 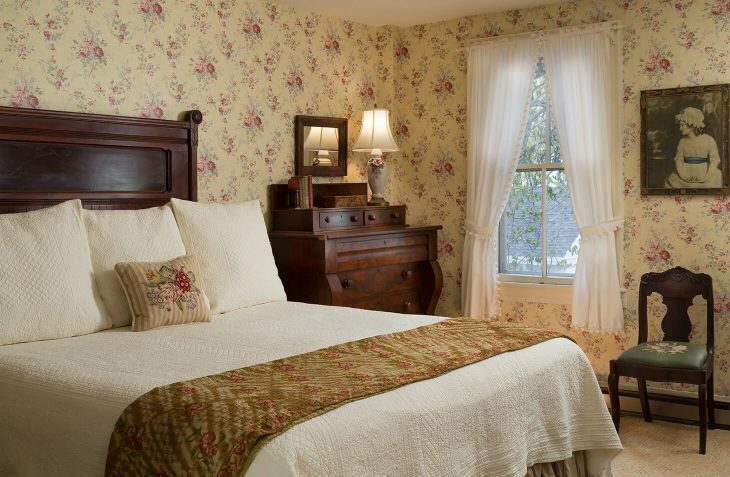 Charming floral wallpaper surrounds the king size bed with Empire head board and dresser, and convenient writing desk next to the window. 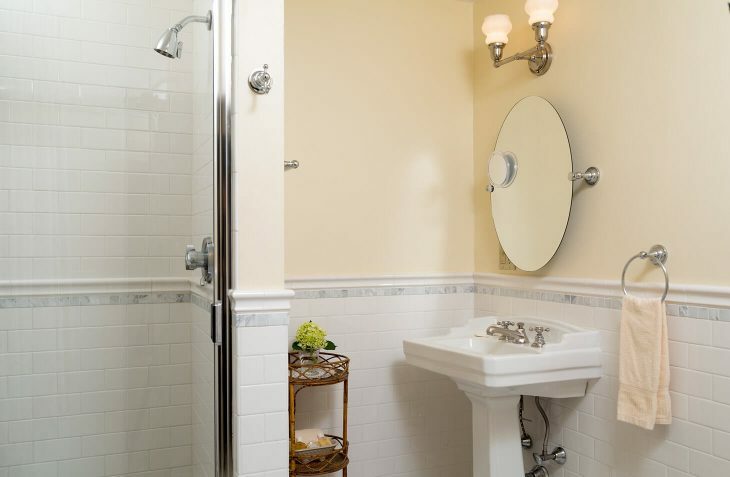 The large tile and marble bathroom has been recently redone with a walk-in shower and vintage pedestal sink. Flat screen TV with cable and DVD player. 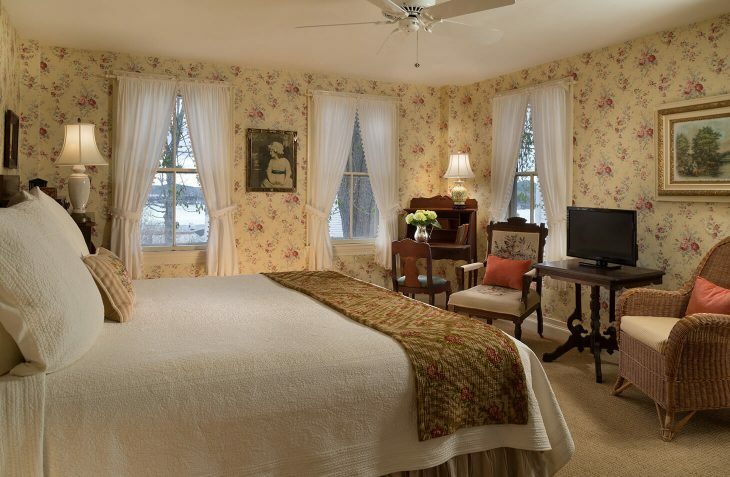 Our Maine inn is one of a kind! This room is pet friendly! Read more about our pet friendly recommendations and policies. 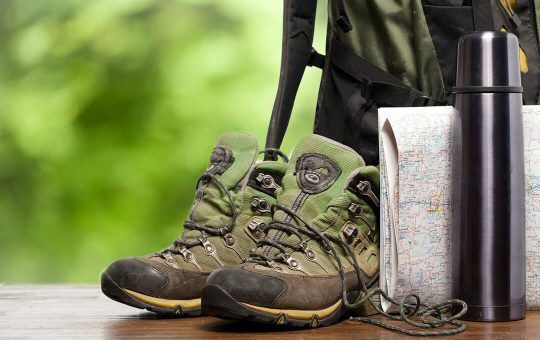 Come enjoy the Maine outdoors, our mountains and seashores, and experience the coast of Maine.